Protecting sensitive information and patient safety requires knowing where your exposures are. 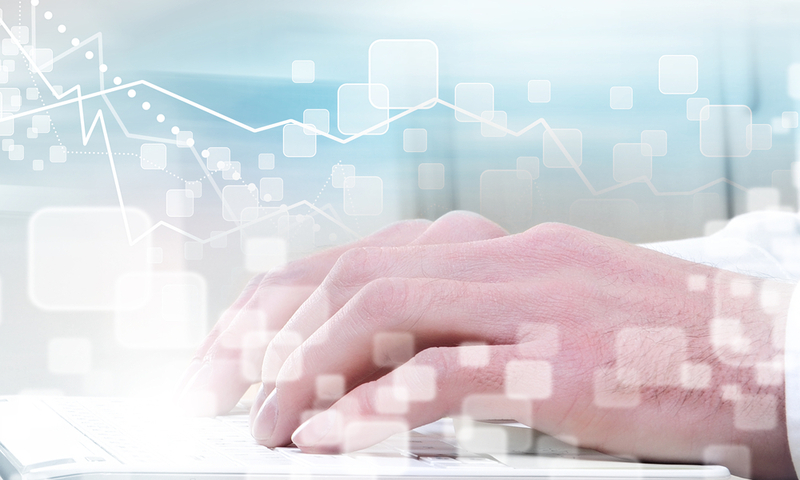 Improving your organization's security posture begins with a comprehensive, OCR-Quality™ Risk Analysis across all your information assets. Clearwater delivers the most comprehensive, enterprise, OCR-Quality™ Risk Analysis available, as demonstrated by a 100% OCR-acceptance rate. Gain true visibility. Prevent breaches. Avoid OCR fines and penalties. Begin today! 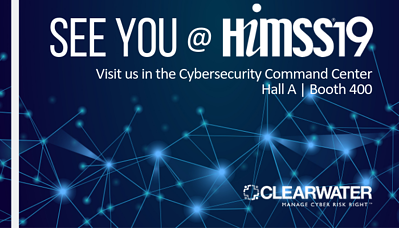 Join us in Cybersecurity Command Center! 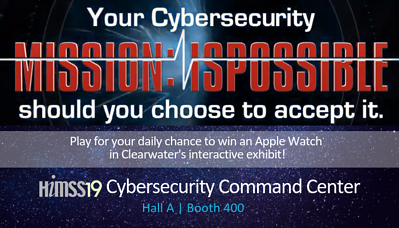 MISSION ISPOSSIBLE: Prove you’re a “CyberSage” with Clearwater’s Cybersecurity challenge. Is your inner CyberSage up for this covert challenge? Catch a Sneak Peek of this interactive challenge! 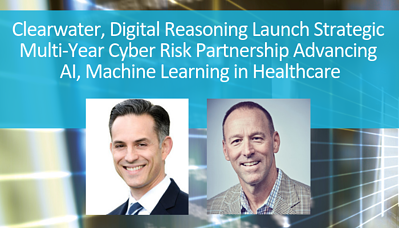 Clearwater and Digital Reasoning unveiled a new strategic three-year partnership to provide cyber risk services for healthcare artificial intelligence-powered solutions. Healthcare leaders representing high-scoring 2018 Most Wired recipient organizations and supporting CHIME Foundation firms joined CHIME President and CEO, Russell Branzell, in an executive roundtable discussion about key findings in a report based on the Most Wired survey results. Only 29 percent of survey respondents reported having a comprehensive security program in place, something Branzell described in his role as moderator as “a serious surprise." 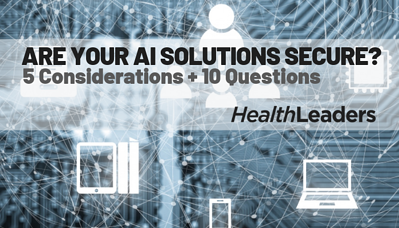 With the growing popularity of AI solutions, health systems need to dig deeper to manage security risk.When evaluating artificial intelligence (AI) solutions for a health system, cybersecurity may not be one of the first considerations. Perhaps it should be. 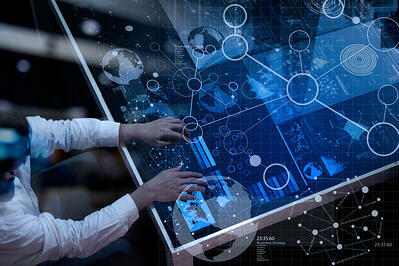 In an age of increasing security threats, data management by outside parties opens the door to additional risk. 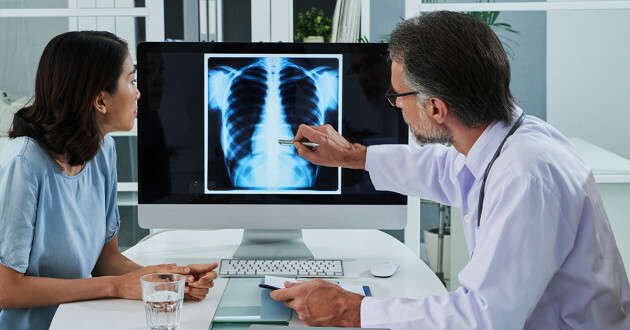 As technology continues to transform the way healthcare is delivered, the industry is burdened by the growing cybersecurity risks inherent in the expansion of connected devices. Understanding that each connected device opens another pathway for threat actors, it’s incumbent upon device manufacturers to keep security foremost throughout the development life cycle. 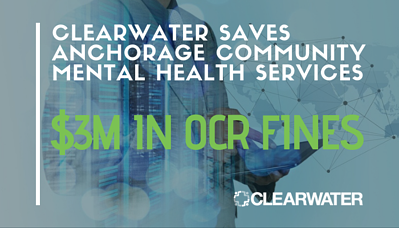 Read how Alaska’s largest mental health services provider reduced their post-data breach fine by more than $3M! The three most critical and common high-security cyber risks facing healthcare delivery organizations and their partners have been uncovered in an analysis by the Clearwater CyberIntelligence Institute™. The enormous data set of deidentified cyber risk information stored in our IRM|Analysis™ database enables us to capture deep insights surrounding current cyber threats and identify trends that will help inform and prepare organizations to Manage Cyber Risk Right. 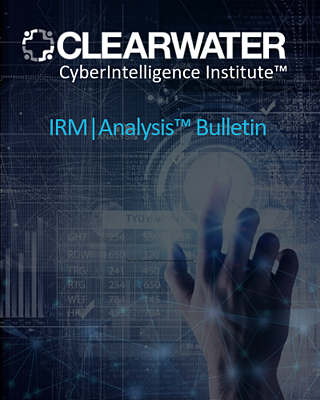 Discover top vulnerabilities of critical risk scenarios found in hospitals & health systems in the the Clearwater CyberIntelligence Institute™ IRM | Analysis™ Bulletin. Join us for this complimentary educational webinar and learn a step-by-step methodology based on OCR and NIST guidance, aided by award-winning software. This 60-minute webinar has been designed to help covered entities and business associates understand and act on the specific Risk Analysis requirements. 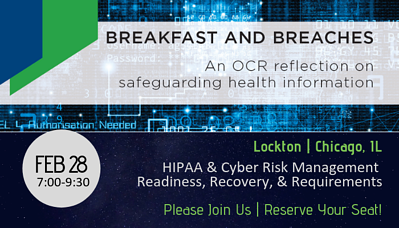 Join us for this special LIVE Expert Panel Discussion, in town hall format, with Illinois OCR investigators, as we tackle some critical subjects, including HIPAA & Cyber Risk Management readiness, recovery, and current requirements. Be our guest onsite at Lockton in Chicago or join us via LIVE webcast! 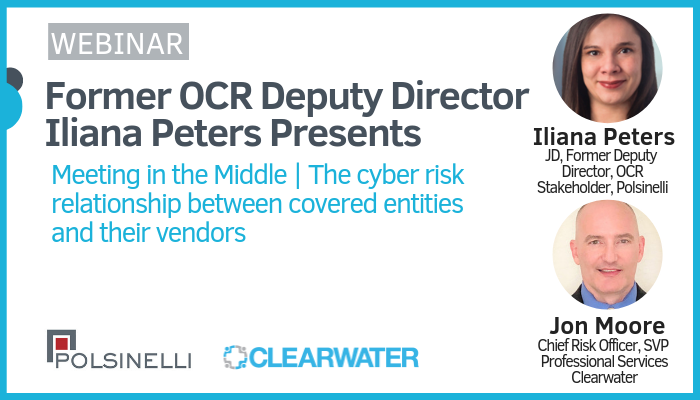 In this educational webinar, explore the challenges of managing vendor cyber risk from both covered entity and vendor perspectives and receive expert guidance form special guest, Iliana Peters, former OCR Deputy Director.